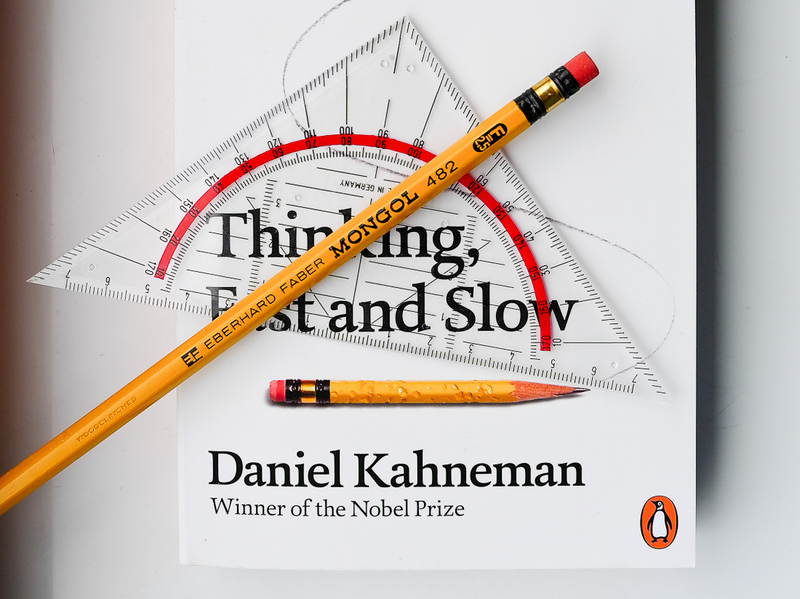 I’m not sure whether you’ve seen the cover of Daniel Kahneman’s book “Thinking, Fast and Slow”. On the cover is what looks like a Mongol with an incredibly acute point. The angle of the pencil point seems to be 14°. I assume the image has not been stretched. Ok, the pencil looks as if it has been bitten specifically for the purpose of this photo. The eraser also looks as if it has been used up for the sake of using it up, uniform use with no trace of lead – but that point…. 14°… and it doesn’t look knife sharpened! Currently my list of sharpeners sorted by angle doesn’t have any sharpener that comes close to this. Unfortunately the book’s colophon doesn’t mention the photo on the cover. The UK edition states that the cover is designed by Yes, but there’s a good chance they just ‘rearranged’ the American cover and don’t have much to do with the pencil on the cover. Any hint on what sharpener has been used to sharpen that pencil would be greatly appreciated. I’d like to thank Sean because I got most of my Mongol pencils, like the one pictured, either through him or because he made me aware of where to get them. Thanks! Yes, you are right, it’s from Venezuela 8^) If I remember right (maybe I don’t) you told me about the seller I got this pencil from (If not then you are certainly the one who made me interested in Mongols…). You can actually buy pre-chewed pencils (“so you don’t have to”), so weathered pencils might become fashionable 8^) I get the feeling that all those hipsters made pencils more fashionable already..
Hmm, that pencil point from your link is so nice. I might put that Mitsubishi sharpener on my ‘Wanted’ list…. I might put that Mitsubishi sharpener on my ‘Wanted’ list…. Matthias don’t…this sharpener produces a long cone of wood and but the exposed lead is surprisingly short …AND sharpens all my pencils off centre – just like Sean’s pic. Same thing here Memm — stay away from this one; I sent mine back. I’m pretty sure Gunther had a similar experience too. Sean is right – I have a KH-20 too and regret the purchase. Long cone, short lead, off-centred, and besides that, it almost eats the the pencil. In short: A huge disappointment. Oh, is the Mitsubishi “that infamous sharpener”. Thanks for warning me – again! An off-track comment: I noticed that book in Thalia because of the Mongols. Bought it together with Freakonomics. The latter was a page-turner, but still working on Fast and Slow slowly. Isn’t Thalia in the German speaking countries only? I hope they didn’t charge too much – if it was the English version you bought. The Kahneman book is great, but I didn’t find the time yet to get very far. Freakonomics sounds interesting, too. I might try to get it after I’ve finished Kahneman’s book. I was in Germany over the Christmas 🙂 It was indeed the English version that I bought and luckily it was reasonably priced. ← Why did stationery become so expensive?